In recent weeks, saga writer extraordinaire Carol Rivers and paranormal romance writer Jacqueline Farrell have both visited my blog to talk about writing sequels. This week I am delighted to welcome Jessica Redland. Jessica has written a contemporary romance trilogy that is published by So Vain Books (the third book is to be published this summer) and she is here to give us her take on the ins and outs of writing a sequel or a series. Jessica, welcome back! Last time you were here, you shared your personal writing rules. Now let's talk about where those rules have taken you. 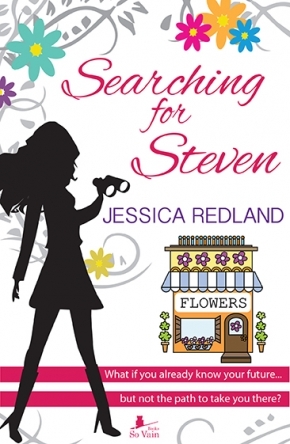 Your debut novel, Searching For Steven, has (at time of writing) 53 five-star and 9 four-star reviews on Amazon. 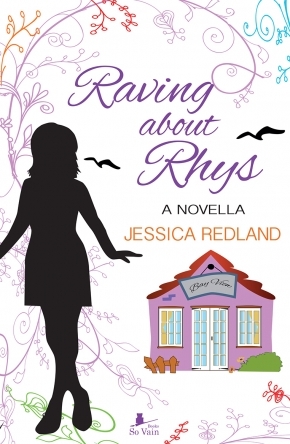 The newly published sequel, Getting Over Gary, which I read this week and loved, and Steven's spin-off novella, Raving About Rhys, have also been well received. Congratulations. Thank you very much. It's amazing to think that just 18 months ago, I didn't have a publishing deal and now I have two full-length books and a novella out. Searching For Steven took a long time to write. A very long time! I had the idea in late 2002, started writing him in spring 2003 and had my first draft ready for the RNA New Writers' Scheme in summer 2012. He went through the NWS and was finally in his polished form, ready to go out to find a publishing home in autumn 2013. A whole decade to write Eek! To be fair, I did get married, have a baby, close a business, change job several times, and move house three times during that decade, so there were long chunks of time when I didn't write at all. Plus, I learned my craft and found my voice. I started writing Getting Over Gary in summer 2013 when Steven was with my NWS reader and steadily chipped away at him until Steven came back. I did the final amends on Steven, sent him out, and cracked on with Gary again. I signed up for NaNoWriMo in November 2014 and it was just what I needed because I finished Gary and actually started on David in order to achieve my 50,000 words and 'win'. I submitted Gary to my publisher in summer 2015. I'd gone from a decade for book 1 down to two years for book 2. This was going well! During this time, I'd worked on and off on David, but I'd hit a problem with the point of view (POV). I'd hit 90k words and I was nowhere near finished so I parked him for a while. My publisher came back with the structural edits on Gary and one of the things they suggested was that it became one POV instead of multi-POV, although the decision was ultimately mine. I'd have pushed back massively on this.... if it hadn't been for the problems I was having with David, so I decided to give it a go. David took a back seat whilst I effectively undertook a huge re-write on Gary. The final version was re-submitted in December 2015. I took a bit of a break from writing at that point and have only just started working on David again. My deadline for him is early May, so he'll have taken 18 months to write, although I've had huge gaps during that time where I've been working on one of the other books. As for Raving About Rhys, he was a very speedy birth! My publisher asked me if I could write a short story to release shortly beore Steven, to be given away for free as a sample of my writing. As you can probably tell from my answer to this question, I don't do short! She wanted it to be based around a character from Steven so that the books were linked. I took some time to think about who I could use without giving away any of Steven's secrets. Towards the start of Steven, one of the main characters attends his sister's wedding and I realised that I could tell the story of how she met her husband. I already had a great feel for her as a character because she has a scene in Steven. She was one of those lovely characters who arrived fully-formed and it only took me about two months (including edits) to write Rhys. I still can't believe I did it that quickly, especially bearing in mind I had a full-time job and a family, so evenings were my only opportunity to write. At what point did you know that three books were called for in order to tell your entire story? In the early days, did you consider having, for example, Elise's plot as a sub-plot in Sarah's story? Interestingly, I never set out to write a series. I set out to write ONE book. The premise came from a real-life experience where I was told in a clairvoyant reading that I was going to set up my own business and meet the man of my dreams, who'd be called Steven. As soon as I was told this, I realised it was a great idea for a book and I decided to see how I , got on writing it. I needed my heroine, Sarah, to have a best friend to act as a sounding board, but this quickly developed into two best friends, because I wanted one to believe in the clairvoyant reading (Elise) and one to think it was rubbish (Clare), so Sarah would have friends with opposing viewpoints and be torn. As soon as I started to write and the characters of Elise and Clare developed, it became apparent that they had their own stories and that (a) Sarah's story was too big to give them the opportunity to have sub-plots, and (b) their stories were too big to be relegated to sub-plots. My series was born! Gary would tell Elise's story and David would tell Clare's whilst also revealing what was going on with Sarah after Steven ended. Although all the books have a romance at the centre of them, they also explore the theme of friendship and how this can change over time and circumstance. A series enables this to happen in a more natural way than a stand-alone book might, given the timescale of the series as opposed to a book (although there are, of course, stand-alone books that span a lot of years in which case it's absolutely possible). One of my big challenges was that, although Steven was written purely from Sarah's POV, I had a vision of Elise being written from Elise's and Sarah's, and David from Clare's, Elise's and Sarah's. This worked really well when I wrote Gary, particularly with the theme of friendship in mind, because I could explore what both women thought about what they were going through and the effect this had on their relationship. However, I hit a problem with David and POV. In that book, I found I was creating things to happen to Elise just so I could tell some chapters from her POV. This got me to 90k words, the book was nowhere near finished (my other two are about 100k words), and I'd really skimmed over Clare's story. This wasn't right. So I started to re-write it, taking out Elise's POV, meaning Sarah was a voice across all three books plus one other voice, depending on whose story it was. I wasn't 100% convinced about this as a concept, which was why I decided to go with So Vain's suggestion of changing Gary to Elise's POV only. Unfortunately, this has meant a massive re-write for David and also a re-thinking as to how I tackle the friendship issue when I can only present it from one POV. I think I might have cracked it, though.... almost! Do I sleep? Hmm. I actually love sleep and I'm one of those people who needs lots of it, so I don't stay up until the early hours writing. Instead, I hardly watch any TV. I write as much as I can on an evening and I grab opportunities during weekends if my daughter has something else on or if it's a rainy day and we're stuck in the house. I have just altered my hours at work so I now have a Friday off, which should give me more opportunity to write and achieve more of a work:life balance with my family. When you submitted Searching For Steven to So Vain Books, was the trilogy idea part of the pitch? Definitely. I'd already started on Gary (Elise's story) and knew what David was going to be about (Clare's story), so I made this clear in all my submissions. At the time, publishers weren't really calling for series (or not that I noticed), but I've seen many requests lately suggesting a great increase in popularity. After David is published - what next? Any plans to share? Having created such a delightful place, will you continue to use Whitsborough Bay as a setting? Thank you for your lovely words! I love the Whitsborough Bay setting and can see so much more mileage in it. There aren't as many books in my genre set in North Yorkshire as there are, say, in London, Cornwall or The Cotswolds, so it's great to have a different setting. Plus, I love to write about what I know and the North Yorkshire Coast is just outside my window (well, if I stick my head right out, I can just about see the sea!). I have very strong ideas for two more books set in Whitsborough Bay and seedlings of ideas for several more. I had one of the ideas a couple of years back, so always imagined it as book 4. An idea I've had since then is pushing its way forward with a smidge more force so I'm going to tackle that as book 4 instead. The idea of books 4, 5 and any others is that they'll have new characters but there'll be the occasional cameo from the original cast. The alliteration in the titles will stop, to show there's a new direction outside the trilogy. I have the titles for both books already because, for me, a title is often the starting point. David's title isn't finalised because the other two titles have three words and David's working title has two, so it doesn't follow the pattern. My publisher wasn't sure about it, but it makes sense when you read the book, so we've decided not to finalise it until I submit in May and they've read the full story. Any advice for writers interested in tackling a series? My main advice would be to try to plan (even just loosely) what's going to happen in the series. You need to know your main characters across the series and you need to know your main events. I attended a talk at the RNA Conference in 2014, where two writers talked about series. I know the talk you mean. I was there, too. For one of them, she'd only set out to write a one-off book, but her publisher felt that it had mileage to be made into a sequel. So she did that. She wrote fantasy books and realised as she got into later books that there were ideas/concepts/secrets/rules she could have planted in book 1 that would have been explained/revealed as the series unfolded. When I submitted Steven, I knew my three main characters very well, I knew the gist of what was going to happen in all three books, I'd written the second and was part-way through the third. I'd therefore been able to go back in and edit a few bits in Steven to reflect things I wanted to have in David. Now that I'm well into writing David, there are a couple of things that I've thought of that I could have hinted at in Steven if I'd finalised all three before submitting him, but they're really minor points and I won't lose sleep over them. The reality is that a really good series can go on for many books and it would take far too long to plot out and write everything before submitting the first book for publishing. My final advice would be: don't force it. If your characters and setting don't lend themselves to a series, don't try to shoe-horn them into one. How many times have you watched a sequel to a film and wished they'd never made it? It's like that with books, too. Some really should be stand-alone because that's what the story idea and the characters dictate. Jessica, thanks for your company today. Thank you so much for having me on your fabulous blog again. I hope I haven't 'talked' too much! Thanks for your comments, Jen. I'm interested to know that UK and US women's novels tend to differ as to POV - I wasn't aware of that. I can see advantages to either way. My own personal writing preference is to have more than one POV. Good luck with your "fast draft"! Lovely to hear from you, as always. Thanks of your comments, Jen. Really thrilled to hear you love the Yorkshire Coast. It is quite stunning! I think all writers probably have a natural affinity to writing from multi or single POV in the same way that they have an affinity with 1st or 3rd person. My 4th novel will be single POV 1st person again, but the idea I have for book 5 has to be told from 4 POVs as it doesn't work otherwise. I'm not sure whether that may also become a 3rd person experiment for me. I loved the Nano speedy writing approach because editing as you go can hamper progress. I look forward to hearing how you get on. Thank you for an interesting interview Susanna and Jessica. 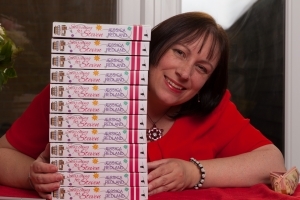 I very much enjoyed this glimpse into the world of "Jessica Redland Author" and the ups and downs of writing a series. Your comments about PoV are interesting. Apart from some early forays into young adult fiction (which shall forever remain under the bed! ), I've never written from a single point of view. It just doesn't seem to fit for me although it appears to predominate in much women's fiction, especially in the UK. As I write for the American romance market, the dual point of view (hero and heroine) is standard. I also enjoyed your thoughts about linking the books in a series together and writing speed. The latter is particularly important to me at the moment as I'm about to tackle my first very "fast draft." And, of course, North Yorkshire! After the North Norfolk coast, the North Yorkshire coast is one of my favourite parts of England. Had a lovely holiday near Robin Hood's Bay some years ago. I wonder of there is a shift towards single-POV in women's fiction these days. From what you say, I imagine you must be working on a major re-write at the moment. Hope it goes well for you. Such a big undertaking. Thanks for your thoughts, Wendy. Always fascinating to read an author's journey. Interesting that it was suggested you change a two person viewpoint to a one. It was what me agent suggested to me and you just have to have faith that they know their stuff as its a huge piece of work, isn't it. Aw Louise, thank you so much for your kind comments. I'm so glad we've been able to alert you to Gary's presence! Really hope you enjoy him as much as Steven. Thanks ever so much for dropping by. Hope you're having a lovely bank holiday weekend. It's good to hear from you again, Louise. I too was surprised by how quickly Gary has been published - and David is hot on his heels. 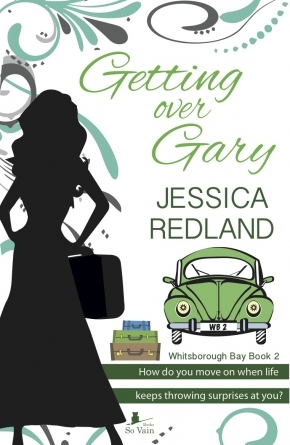 I hope you enjoy reading Getting Over Gary and I'm sure Jessica will be delighted by your comments. Thanks for dropping by. I'm glad I found this blog. I read "Searching For Steven" last year and loved it. Sarah, the heroine, was such a lovely person. I was rooting for her all the way, hoping she would find her true love. I knew that there was going to be a sequel, but I just assumed it would be published a year after the first book. After I have pressed "Send" on this - next stop, Amazon to download "Getting Over Gary." You're very welcome, Jessica. And, no, you didn't "talk" too much!